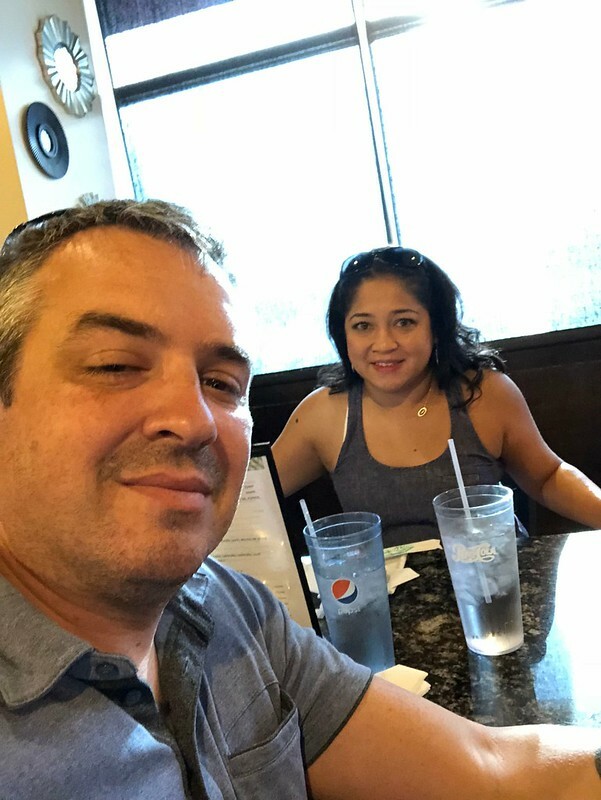 Posted on September 24, 2018 by Ching under Food and Drink, Things to Do. 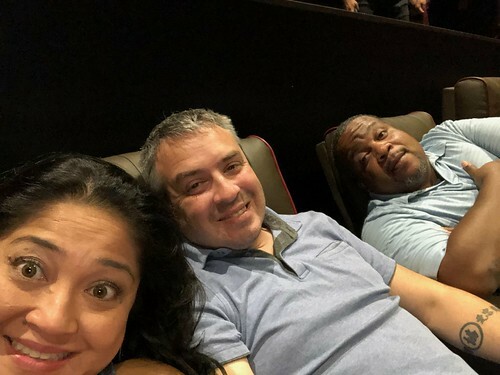 As we are gearing up for another movie watch night with friends to see A Star is Born in a couple of weeks, I was reminded of our last fun movie outing. 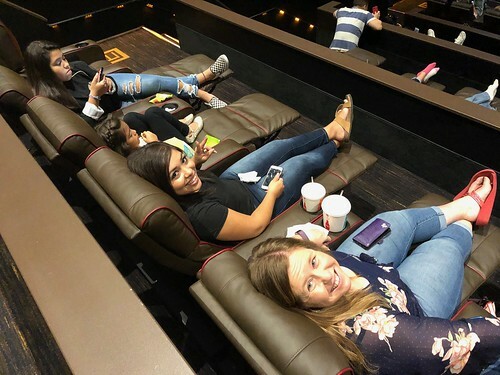 A bunch of us went to see Crazy Rich Asians. I had seen movie previews and really wanted to go see it. 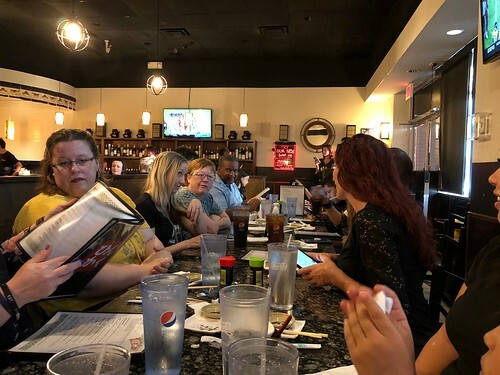 As my friend Linda and I got to talking about it over Facebook, we came to realize that more people wanted to see it so we got a group together. We decided to make it a full on outing, starting with dinner at Wasabi Sushi Bar East before the movie. Brian and I got to the restaurant first because we wanted to make sure we had enough space for everyone. We kept having to add more people to the dinner reservation down to the last few moments before dinner. Brian actually started to worry that they might not have a big enough space for our group. Fortunately, the area that they set aside for us was just perfect. It was just me and Brian at first as we waited for everyone to show up. The restaurant was super busy that night. I’m guessing it’s because they’re close to the movie theater and everyone had the same idea as us. Brian and I were smart enough to make reservations, so we didn’t have to wait. They had our table ready for us when we got there. As we were waiting for our friends, we saw several large groups (smaller than ours but more than just 4 or 5 people) give us the evil eye for holding up all of that space for just the two of us. There were a couple of times we actually saw people point at our table. We could only imagine they were asking the host why they couldn’t sit there. 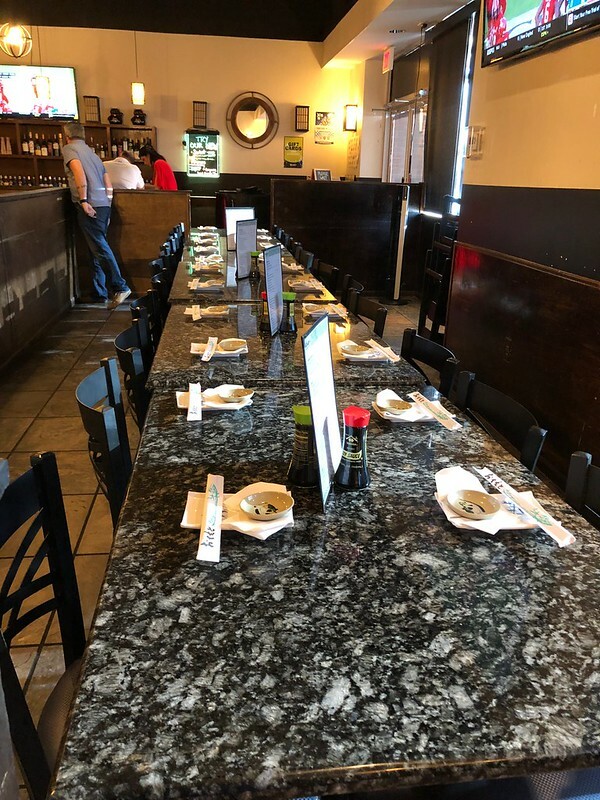 We were glad when our friends finally started trickling in because we were tired of all the shade we were getting from the people who had to stand there and wait for tables to open up while the two of us we were sitting at this long, mostly empty table by ourselves. It turned out to be a much larger group than I ever anticipated — even bigger than the groups we had for Mamma Mia! 2 and I Feel Pretty. 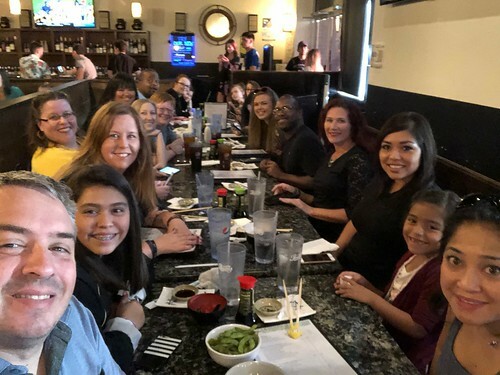 There were about 20 of us at dinner. A few others skipped dinner due to other commitments and just met us at the theater. We took up 26 seats altogether. Here are a couple of pictures of the food that Brian and I had. The food was good but not as good as the the original Wasabi on Douglas. They also had a very limited drink menu. That didn’t stop Mike from getting a few bottles of sake, though. 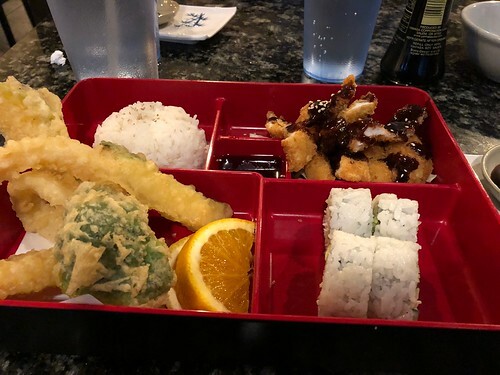 I had the bento box because it’s a good deal. You get a little bit of everything — tempura veggies, meat (I got the tonkatsu), a few pieces of California roll, and steamed rice. 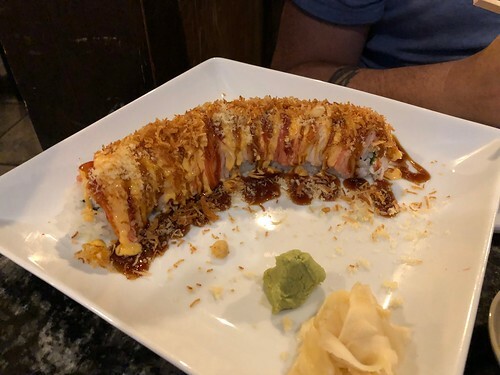 Brian got the crazy crab, which is his favorite thing to get there. In general, even though we each get our own entrees, we will usually share so he can get some of mine and I can get some of his. It works out better that way because then we get to try more things. 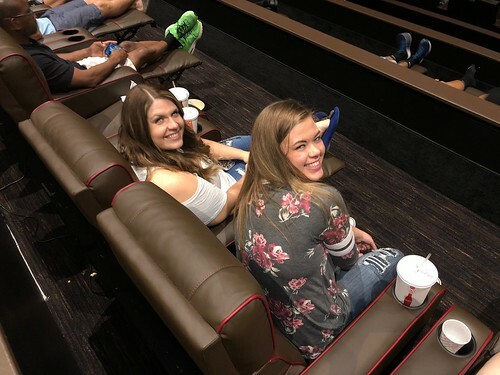 Here are a few pictures of our group at the movie theater. It was such a fun night. And, the movie was even better than I expected. It had some good laughs and also a smattering of emotional moments. I cried in several parts. The next one we are going to see, A Star is Born, is more of a drama than a rom-com. Brian is actually bracing for a bawl-fest. Here’s a preview of the next movie. Tell you all about it after. GNG.